Be the first to share your favorite memory, photo or story of JoAnna. This memorial page is dedicated for family, friends and future generations to celebrate the life of their loved one. JoAnna McDonald was born on June 11th in 1940 to Paul Alexander McDonald and Hazel Margaret (Blackwood) McDonald in Wichita Falls, Texas. Where her father was stationed temporarily for work on drilling rigs. She was the only child born to the couple, as her father would say, “He could love no one more than her”. JoAnna attended 12 different schools through out several states during her early childhood school years due to her father’s business of drilling water wells for Kerr McGee. JoAnna eventually ended up in Oklahoma where her father’s business flourished as the first drilling water well in Oklahoma. JoAnna graduated from Midwest City High School in 1958 were she was a Majorette Baton Twirler for the high school band. JoAnna graduated from Central State College with a degree in “Business Education” and was a member of Tri Signa Sorority. While attending college JoAnna worked for her mother at her famous “Dog and Suds” also known as “The Dairy Boy” Drive Inn, located near Northeast High School. This is where she met her first husband Jerry D. Coleman. The two were married on September 26th 1962 and together they had 3 beautiful daughters; Teri, Cathy Jo and Amy Coleman. 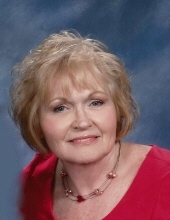 JoAnna taught high school Business classes for several years as a teacher before moving to Mustang Oklahoma in 1976, where they raised their 3 daughters. JoAnna worked for several years at CMI then for the State Insurance Commission. In the Summer of 1986 She met Ronald D. Bradford and the two were married on May 27th 1994. She continued to live in Mustang and work for the State of Oklahoma. She eventually transferred to the State Tax Commission as an Auditor where she worked for over 20 years before retiring in May 2018. JoAnna measured her life with the Love of her daughters and her grandchildren, her daughters and grandchildren were her life and it showed everyday unselfishly. JoAnna was a huge OU Fan and raised her daughters up right, she was very competitive and a supportive Mom attending so many events for her daughters growing up and even coaching them in basketball and softball. She was an amazing Mema attending as many games from Football, Soccer, Volleyball and Softball. She tried hard to make every JBQ match, Fine Arts Performances and choir performances for every single grandchild. She sometimes went from one place to another in a single day to make sure she didn’t miss anyone’s games. She was a great seamstress making many costumes for her grandchildren. She was a fabulous pitcher and loved playing slow pitch softball for many years on a league. She played bridge with a group of ladies from Mustang for many years. JoAnna was active in her home church, “The Bridge AG” for over 23 years. As a Missionettes/Mpact Stars Teacher where she helped crown many young ladies. She was a Quiz Master for JBQ and a member of the “Oasis Group” where she went on many trips and shared many memories with many wonderful friends. JoAnna lead a wonderful active full life giving lots of love to so many, her home was open to anyone, she loved celebrating the 4th of July and was very passionate about being an American, she was a True Patriot. She loved Christmas and made sure her Family was together every year. JoAnna left a Huge and Wonderful Legacy, she will be extremely missed by her daughters and grandchildren along with many loved ones and friends. JoAnna is preceded in death by her Father and Mother, Uncle Huge McDonald, Aunt Doris McDonald, Aunt Nelly (Blackwood) Croft, Uncle Frank Blackwood. JoAnna is survived by her husband Ronald Dean Bradford, Her Daughters Teri Lynn (Coleman) Hood and Husband Forrest Allen Hood, Cathy Jo (Coleman) See and Husband Derek Allen See, Amy Michelle (Coleman) Campbell and Husband Jerry Edward Campbell, Step Sons Jason Paul Bradford and Wife Christine Bradford and Joshua Dean Bradford and Wife Rochelle Bradford. She had 22 grandchildren Natasha Marie Hood, Joshua Forrest Allen Hood, Desirae Hazely Hood, Vincent Louis Marcellino Jr., Rebekah Katelyn (Hood) Ratcliff, Jerry Edward Campbell Jr., Bethany Mariel Hood, Audrey Michelle Campbell, Danielle Lauren (Greenspan) Benefiel, Jordan Alexander Greenspan, Alyssa Carolanna Campbell, Samantha Alexis See, Aryana Caelyn Campbell, Olivia Coleman See, Jarrett Coleman Campbell, Sophia Grace See, Adyson Michayela Campbell, Jade Marie Hart, Tritten Joshua Bradford, Gabriella Lin Bradford, Camden Dean Bradford, Chasen Kyle Bradford and one on the way. 5 Great Grandchildren and one on the way. To send flowers or a remembrance gift to the family of JoAnna Mae Bradford, please visit our Tribute Store. "Email Address" would like to share the life celebration of JoAnna Mae Bradford. Click on the "link" to go to share a favorite memory or leave a condolence message for the family.